Andy Warhol, was an American painter, printmaker, and filmmaker who was a leading figure in the visual art movement known as Pop Art . After a successful career as a commercial illustrator, Warhol became famous worldwide for his work as a painter, avant-garde filmmaker, record producer, author, and member of highly diverse social circles that included Bohemian street people, distinguished intellectuals, Hollywood celebrities and wealthy patrons. Mom couldn't believe her eyes that I was wearing a skirt, but that's a another story , hehe! I got this skirt 5 years ago from a small boutique at Al-Salhiya Complex the designs are called Andy Warhol by Cultura, I have another white skirt with handbags illustrations and a matching blazer as well in the same concept. Sadly I only find a little about this brand online, anyone could help? More on the Avant Guard side but I love it, what do you think? 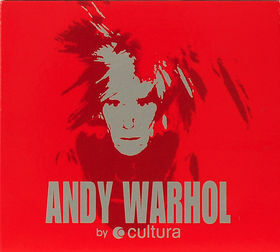 I love the Andy Warhol by Cultura line!!! Sadly this brand doesnt exist anymore,they only had the license to use the Warhol imagery (Warhol foundation rights) for a few years 2002-2005 if I remember correctly.I believe Pepe Jeans now have the license to use the Warhol imagery.